This will now be the only customer admission method at venues including The O2 and The SSE Arena, Wembley. It eliminates paper tickets and allows you to enter events quickly with the scanning of the AXS or venue app. Flash Mobile Delivery allows you to manage your tickets digitally, with the option of transferring them easily amongst your party right up until show time. We’re launching the brand new technology to give fans of live entertainment a faster and fairer ticketing experience. We’ve listened to customers asking for more to be done against unfair secondary ticketing practices and Flash Mobile Delivery tickets come equipped with a dynamically changing barcode system, which ensures that the tickets cannot be copied or shared illegally on any other websites, emphasising AXS’ ongoing commitment to combatting touts. How can I use Flash Mobile Delivery? Take a moment to watch the videos below! Click the buttons below, to download the free AXS Tickets App. Please note, if you already have the AXS App, you’ll need to upgrade to our latest App and delete your old one. If you are travelling to a show from outside of the UK, you will need to change your country setting in the download store to UK. Once installed, open the app and hit the main menu button. If you already have an AXS Account, you can sign in with your existing details. Otherwise, tap on 'create account'. Now that you've logged in, you can either purchase tickets or view previous purchases in ‘MY EVENTS’. Going in a Group? Transfer Tickets! Your mate's running late and you don't want to wait? You can transfer your tickets in an instant. Ticket recipients can enter the event using their own ticket, in their own time. No need to hang around or miss the start of the show! Get Scanned & Get In! Open up your ticket in the app and head to the entrance. Our friendly door staff will scan the digital barcode and you'll be inside in no time! Flash Mobile technology refreshes ticket barcodes every 59 seconds and works even without a wifi connection or a data signal. If you have any questions at the event, head straight to the venue’s Box Office where one of the team can help you. We have announced the launch of a unique ticket resale platform in the UK, with iconic venues The O2 and The SSE Arena, Wembley the first to partner and integrate with their purchase flows. For the first time ever, tickets for sale using AXS, including primary and secondary, will be visible to consumers at the point of purchase in real time. It will also eliminate confusion and remove fan anxiety as to whether their ticket is actually valid for entry. Why is AXS Official Resale being launched? AXS Official Resale will provide the option to resell tickets at face value with a cap of no more than 10% above the price paid by fans. This will help prevent ticket touting and help combat illegal counterfeiting. We know that fans of live entertainment have been looking for a solution to these issues for a long time. How can I use AXS Official Resale? Can’t attend the show? Take the opportunity to put your ticket in the hands of another fan with AXS Official Resale. Head to your AXS Account and follow the simple steps to put your ticket up for resale. Want to attend a previously sold out show – we’re here to help! To see what tickets are available on AXS Official Resale, go to the show of your choice on AXS.com. There you’ll find all ticket options available – primary and resale together in one place – all for a fair price! New for AXS this year is Flash Mobile Delivery and AXS Official Resale! This digital ticketing system is part of some exciting new ticketing procedures being implemented for concerts at The O2 and The SSE Arena, Wembley. This simple and easy to use system will replace the older, less flexible model of the print at home PDF ticket. It is a real step forward for fans of live entertainment – to find out all about it – see below! Flash Mobile Delivery is a digital ticketing system and the only admission method at The O2 and The SSE Arena, Wembley. It eliminates paper tickets and allows you to enter events with a quick scan of your ticket on an app. 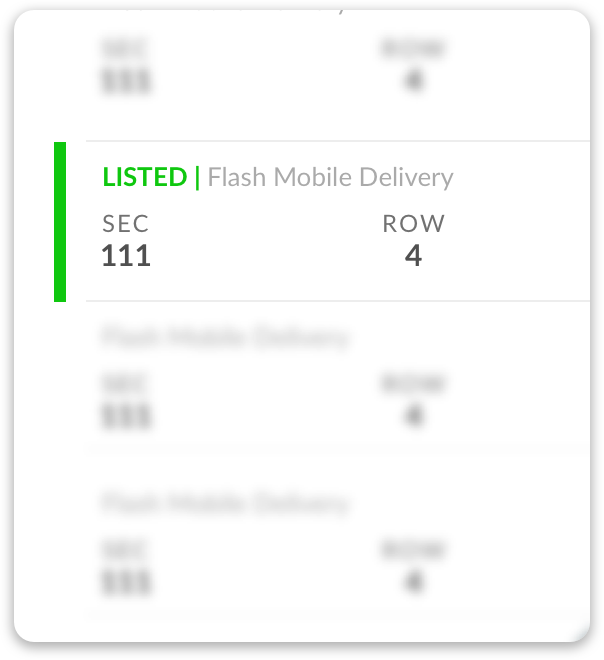 Flash Mobile Delivery allows you to manage your tickets digitally. In the future, it will also give you the ability to sell and buy seats through AXS Official Resale endorsed by the venues. To alleviate the problems surrounding counterfeiting, all tickets are assigned to individuals via Flash Mobile Delivery. This includes a dynamically changing barcode system, which ensures that the tickets cannot be copied or shared illegally, emphasising AXS’ ongoing commitment to combatting touts. By eliminating paper tickets fans are guaranteed easy entry to the venue, either as a group or individually, through simply scanning their app. How do I create an account for my Flash Mobile Delivery ticket? Visit AXS.com or the AXS app and click on ‘Sign Up’ at the top of the page. You will be asked to enter some basic account information. After completing the information, you are free to buy tickets and manage them in your account. See our "How to" - Clips here. You can also register using the AXS mobile app. The mobile app is compatible with iOS 10.0.0 or later for iPhone and with Android 4.1.2 or later for the Android devices. What if I don't want to use Flash Mobile Delivery? Flash will be the only delivery option available for The O2 or The SSE Arena, Wembley events on sale after 26 November 2018. How do I get into the venue? With Flash Mobile Delivery, your one of a kind barcode gets you into the venue quickly. Please have your Flash Mobile Delivery barcode displayed via the AXS or venue app when you approach the venue entrance, Wi-Fi is available at all entrances, but your ticket will work without wifi in place. Show your Flash Mobile Delivery ticket to the Guest Services Representative who will scan it through a hand-held device and admit you to the venue. What happens if people do not have the ability to download the AXS App or have a smart phone? If you do not have a smart phone, another way to gain entry to the venue is with the credit/debit card used to make the booking. To use this option, all members of the booking will need to be with the ticket purchaser. You must provide your actual credit/debit card that you used for the purchase along with some photo ID (such as a driving licence or passport) in order to enter the event. The name on your photo ID must match the name on the credit/debit card used for the ticket purchase, otherwise you will be refused entry to the event. If you have a new card since the time of booking, you’ll need to contact customer services to update the booking details. Also, you can go to your AXS Account on a desktop computer and forward your tickets to a friend with a smart phone and enter with them. Please visit the box office at the venue on show night. A seat transfer allows you to give each guest in your party their own entry ticket digitally via Flash Mobile Delivery. With seat transfers, you no longer need to worry about delivering the paper tickets to them in advance or meeting them outside of the entrance to walk in together. There is no fee for transferring seats and you are able to make unlimited transfers. This is done simply through the AXS or venue app – and can be done right up to the event (one hour after door time). By following the instructions below, you can transfer tickets simply and quickly – leaving you to enter the venue with your guests to join you later. For more information – please watch this video. Following these instructions, your guests will be able to enter when they arrive using their own Flash Mobile Delivery ticket. Make sure your friends have downloaded the AXS App to be prepared! There may be times where a block on transferability is requested by the promoter – if this happens, this will be marked clearly at purchase stage. You can transfer the tickets with them in a few easy steps. We are introducing our fan-fair re-sale system – AXS Official Resale – that will enable you to sell your tickets if you can no longer attend and give you the opportunity to buy tickets on a fair capped re-sale platform from other fans! Please see below for more. If the above has not answered a question for you, please contact us directly HERE. What is AXS Official Resale and how does it benefit fans? AXS Official Resale provides fans with the fastest, simplest way to sell tickets they can no longer use for shows at The O2 & The SSE Arena, Wembley. It’s also the official place to sell tickets endorsed by the artist, team, or venue. It’s up to you! 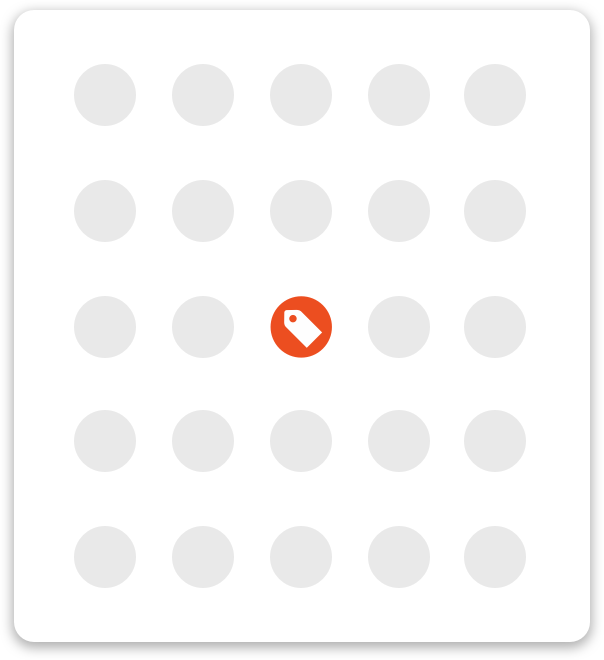 When listing tickets, you decide how long your listing will be available for others to buy. They can be listed with AXS Official Resale until One hour after event start time – following this time they’ll be automatically taken off sale. Please note: the event start time is subject to change and published times are for guidance only. When can tickets be listed for sale with AXS? Can I sell my ticket if it isn’t for an event at The O2 & The SSE Arena, Wembley? Not at this time, but we are looking to open up the technology to all venues and promoters so that this option is available for all our events. How will I receive payment for tickets I’ve sold? You'll be able to add a bank account or credit card for receiving your payment by the end of April. Once added, your payment will reach your designated bank account or credit card within 10 days after the event date. We are introducing what we think is the most pragmatic solution to the resale of tickets. We appreciate that fans who have bought tickets but cannot attend the show for whatever reason will want to sell their tickets and that they may have incurred some costs during the purchase process. We think it is fair that they are able to recoup at least some of that outlay. Also, we think a 10% cap does not provide enough of a margin to satisfy the cynical and determined ticket tout and in doing so will take the incentive away from bulk buying tickets for resale. We are committed to combatting touting issues and the exploitation of real music fans and believe that we have taken a big step towards achieving these goals. Tickets for events can be purchased via AXS.com, the AXS app or the venue’s website and app. Go to the event you’d like to purchase tickets for and on that event page, both primary and resale tickets will be clearly marked. Also, you can only buy from one resale listing at a time per transaction. Therefore, there could be tickets listed for resale next to each other, but listed by different sellers. In this instance, you will need to make two separate bookings. With AXS Official Resale, you always have a way to see the show or game. For an event that is “sold out,” keep checking the event page for tickets listed for sale by other fans. Resale tickets are available 24 hours after tickets first go on sale to the general public right up to the day of the event. You’ll see resale tickets on the seat map alongside any standard tickets that are available. Standard tickets are shown in blue, and resale tickets are shown in orange. This gives fans the best opportunity to see what’s available – all in one place – for a fair price. By following the steps below, you can quickly purchase the ticket to the show you want.